The courtyard café will be open for visitors to enjoy homemade meals, light bites and indulgent treats. Meanwhile, the Gift Shop and Home & Garden Shop will be stocked with the new season’s gifts. Egg-splore the Castle Howard grounds this Easter on an egg hunt like no other! The Castle Howard bunnies have lost their eggs around the grounds and we need your help to find them. Collect a price from the Boathouse once you have reunited the eggs with the bunnies! 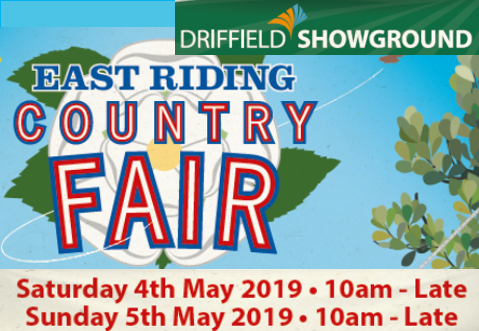 We will be hosting a traditional children’s fun fair including a train ride and swing boats and join our giant Easter egg hunt to win prizes. 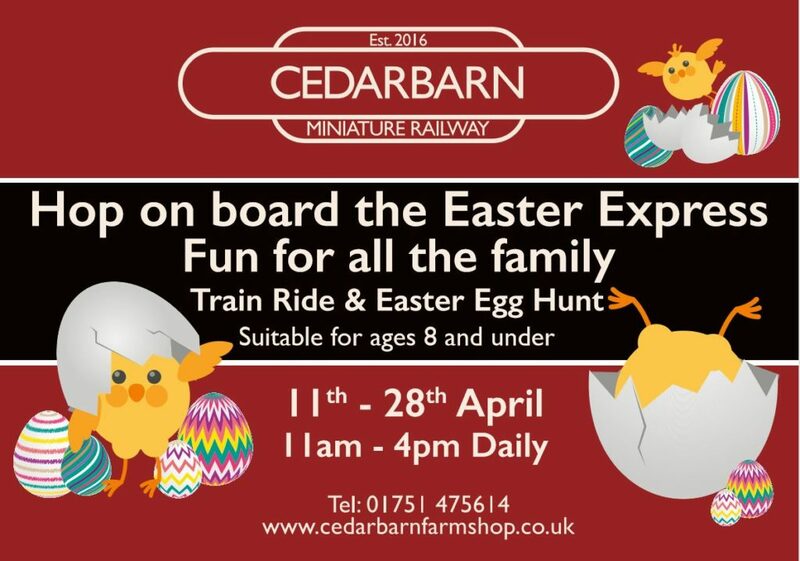 The miniature railway is OPEN 11th – 28th April 11am – 4pm. The Easter Egg Hunt is £3.00 per person, to include a Train Ride, Treasure Hunt & a Chocolate Egg. 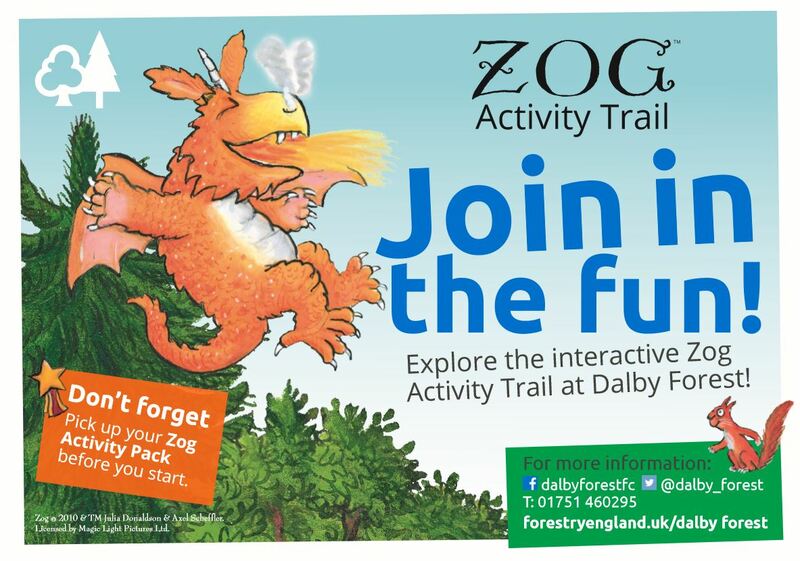 Dalby Activity Centre is a great place to experience exciting new outdoor sports. Join the hunt for dragon eggs on a legendary quest this Easter holiday. Crack the clues as you and your family follow the trail through the castle. Intrepid adventurers who track down the dragon egg will get a certificate and a sticker to prove it, and there’ll be a chocolate treat too! You can get questing at Scarborough Castle every day of the school holidays. There’s no need to book. The quest costs £1 per child (Members and Non-Members) in addition to the normal admission price. The quest costs £1 per child (member and non-member) in addition to the normal admission price. Under 16’s must be accompanied by an adult. 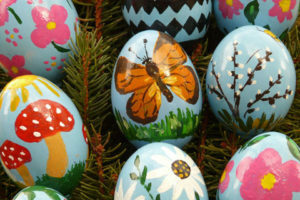 Join us on Easter Monday as we get creative with this traditional Easter activity – painting eggs! We’ll then be rolling our eggs down the Mount – whose egg will win the race? Located in and around the Walled Garden, and Grounds, Stables and Spotty Pig Play Farm, children can explore and take part in our Easter Trail, have a go in our crafting area, and play games, whilst the grown-ups can enjoy some of the spring flowers which are just beginning to come through. 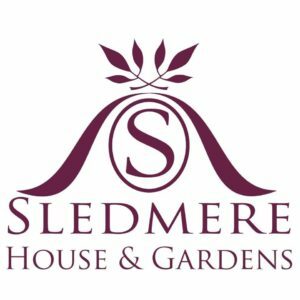 FREE entry for ‘Sledmere Friends’. Sledmere, Driffield, Yorkshire YO25 3XG. 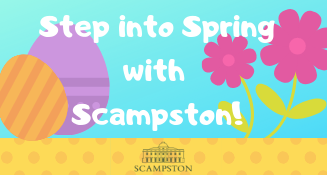 Scampston’s Fairy Godmothers return with some new stories and lots of activities for little ones! 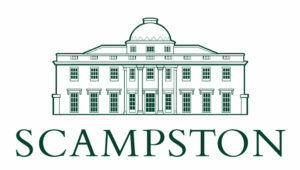 Explore the magic of the woodlands here at Scampston. Listen to captivating stories of witches, magical creatures, princes and princesses, giants and imps, as told by our resident Fairy Godmothers. They’ll also be some stinky, messy tales too to give you a giggle! Admission will be free for all children in costumes on these days. 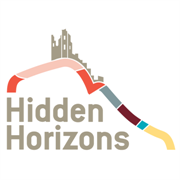 Join us for a fossil hunting trip along Cayton Bay, south of Scarborough. Each trip is different, but we should find a wide range of fossils from the Jurassic, around 160 million years ago. This event is suitable for all the family as the access is very easy. 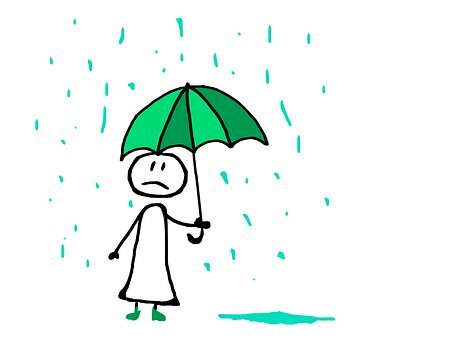 We do suggest wellies or stout footwear and a bag or bucket to put your finds in. A one off opportunity (two?!) to go on a ramble around unseen parts of the ancient woodland and estate to enjoy the first signs of spring with the arrival of the Primroses. Join us for a 3 mile ramble and go off the beaten track to explore areas of the estate that are usually not accessible to the general public. Easter Bunny stilt walkers, bouncy castles and face painting for £1 per go, as well as a free a purpose-built playground. Fossil Handing – Explore Prehistoric times and find out about dinosaur footprints in hands-on sessions with our fossil experts. Thursday 18 April 2019 – Medieval Marvels! Thursday 25 April 2019 – Dance like a dinosaur! Make a dinosaur mask, dress up in our amazing dinosaur costumes and pose with Meg the Megalosaurus for that unforgettable snapshot! Wednesday 24 April 2019 – What a picture, what a photograph! Make an Easter bonnet, dress up, pose and snap that fabulous family photo. Join us on a journey through the seasons and witness the most exciting race between two competitors who couldn’t be more unevenly matched. A lively, fun and interactive version of the Aesop’s Fable about an impossible race. Who will win? Speedy Hare or slow Tortoise? Your guess is as good as ours! 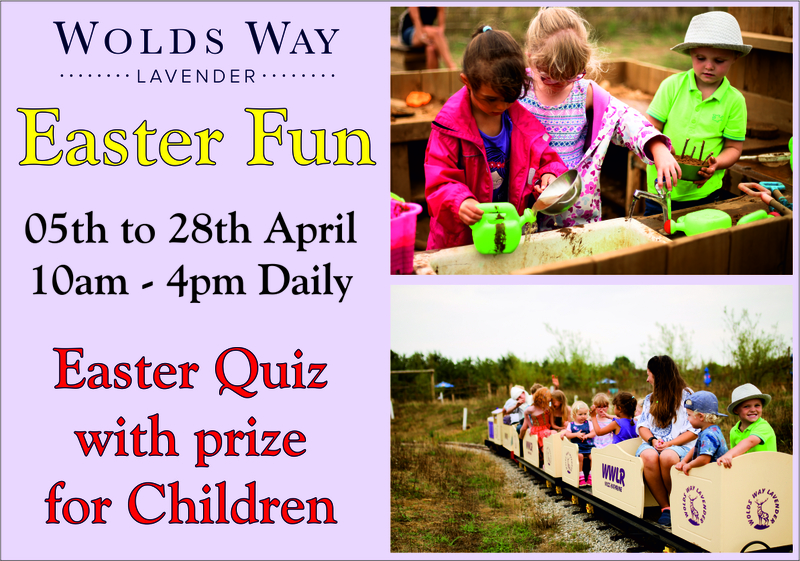 All aboard – our Easter Hunt Quiz is back!!! Explore our natural 12 acre site and hunt down the clues to solve the mystery puzzle! A free prize egg for the winners. The Quiz is running from 5th – 25th April 2019, we are open daily 10am – 4pm. 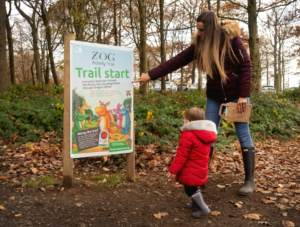 Our Giant Games Maze, Nature Trails, Mini Foot-Golf, Mud Kitchen and Giant Sandpit, Mini and Junior Timber Trails, Miniature Railway, nature quiz and seasonal activities will ensure there are lots to keep the whole family entertained. Season Tickets to enable you to enjoy the farm all season long and get 10% off in our tea-room!!! Willow Warren – play, run, hide! Den Zone- build your own den, use your imagination and skills to create your own play den. Free Parking. Gift Shop. Tea-room. Plant Sales. Toilets, Disabled Toilets and Baby Changing Facilities. Dogs welcome on a lead. Family ticket: 2 adults and 2 children (over 6) £64. Easter: 4 hour ticket and the parking charges are back. Easter craft and activity session for children aged 3 years to 8 years. Come and join in the fun and bring your own decorated hat to enter the Easter Hat Competition or design your own garden in a container for the Miniature Garden Competition (maximum size 20 x30 cm). Entry is by ticket only and cost £2.50 for each child, to include refreshments and cakes, adults are free. Tickets available from DVB, 3 Pickering Road, West Ayton. during opening hours. Come along to North Bay Railway, children get to do our picture treasure hunt with a prize at the end at Peasholm Station. Trains are running regularly and all our Lakeside Attractions are open (Sky Trail, Boating Lake and Historic Water Chute). £2.50 per child, no booking necessary. Flamingo Land Theme Park, Zoo and Resort opens again fully from Saturday 6th April, and is open daily from 10am. Flamingo Land Resort has an award winning zoo with 140 species of reptiles, mammals and birds. Over the Christmas and New Year period, Flamingo Land welcomed 3 Rothschild’s giraffe calves, alongside some new Lorikeet chicks. So, what are you waiting for? Come and visit us today! Call 0800 40 888 40 for info. Hornsea Freeport, Rolston Road, Hornsea, HU18 1UT. 01964 534211. 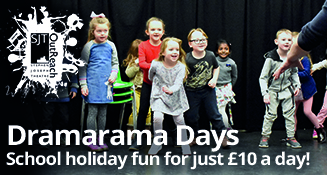 Details of the next school holiday activities at the shopping outlet coming soon. Plus Bugtopia and Beach Cove open every day, free parking and facilities, great places to eat, and up to 50% off this season’s top brands. For more information please visit their website here. DAVE MARSHALL! – hot dogs & fries for all the kids! Have a great time with messy time’s workshop building lego, take part in the lego trail. Magic Mike is at the following locations for Easter Eggstravaganza, an eggstraordinary treat for the whole family. A family-friendly ceramics session where we’ll be experimenting with texture and shape with an Easter theme, making Easter decorations to hang around the house. Take home your clay creations at the end. All materials and equipment provided. Suitable for children aged 5+. If the weather’s lovely, why not come early to enjoy the playground with a picnic. Early-bird price £3 per child, £1 per adult. Leave the kids to make a mess and create exciting carnival-style masks. Staff are DBS checked and first-aid trained. All materials provided. Find makemorearts on Facebook for more information. 6th, 13th & 20th April, 10.30am: Learn to play Pokemon. 6th, 13th & 20th April, 11.30am: Learn to Play Age of Sigmar and Shadespire. 9th & 16th April, 11am: Learn to paint miniatures for kids. 9th April, 6.30pm: Board game night. 10th &17th April, 11am: Learn to play warhammer 40k and kill team. 11th & 18th April, 11am: learn to play Dungeon and dragons for kids. 12th & 19th April, 11am: Learn to play Magic the Gathering. 14th April, 10.30am: Learn to play yu gi oh. All these activities are free, and there are no age limits, but anyone aged 16 or under must be accompanied by a responsible adult. No need to book but would be advisable to avoid disappointment. Call ‭01262 670680. Grand opening of the Mucky Monkey Toy Shop with a 4 day Easter Egg Hunt. Prize for every correct questionnaire and a daily grand prize of a £30 Amelia’s Chocolate Egg. All under 9’s must be accompanied by an adult. Easter Holiday fun with Cartoon Artist and Author Liz Million, returning to the library for a third session by popular request. Admission £2 per primary age child. Places must be booked in advance and paid for by 9 April. Places not paid for by this date will be released since we anticipate the event will be as popular as Liz’s previous two visits to the library have been. Situated near Scarborough on the outskirts of the village of Cayton, the farm is packed with things to do to entertain your children whatever the weather. The huge indoor play area includes soft play area, tractor zone, adventure trail and much more! The Animal Barn and Interactive Paddocks are designed so the children can see animals in a natural farm environment. Come and get to know all our animals up close and join in with feeding. Join us for fun children’s activities, trails and much more to help with the celebrations, plus music and special Sunday lunch 12pm – 3pm. Jawsome Sharks – Help Professor Finn find the missing sharks’ teeth to become a Jawsome Shark Ranger. New for 2019 – Visit the rescue centre and learn all about how to save incredible turtles! Tickets from the website and the Box Office (01723) 821888. Rusticus Encounter – 8th & 15th April – Woodland creatures featuring Romola Rabbit. Rustic Woodland Creatures Theatre – 9th & 16th April – The Odyssey! 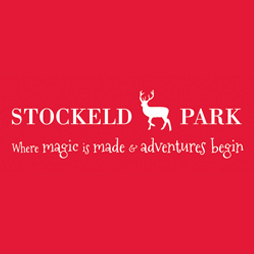 Magic Day – 10th & 17th April – Face Painting & Donkey Rides. Rusticus Adventure – 11th & 18th April – Magical Forest. Active Coast Activity – 12th April – Outdoor Adventure Team Building including Slacklines. Active Coast Activity – 15th April – Bushcraft and Wildlife Warrior. Easter Magic Day -20th April – Meet the Easter Bunny, Face Painting, Easter Bonnet decorating & Donkey Rides. Medieval Jousting -21st April – The Gallant Knight & Craft Fair. 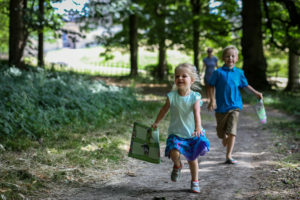 There will also be an Easter Trail running everyday throughout the Easter holidays – 11am-4.30pm – Can you follow the clues and complete the Easter Crossword? Last admission to the house is 4pm. Search the grounds with your map, work out the code to claim your tasty treat! The Great Stick Hunt. We are going to show you how to make stick people, woodland monsters and fishing rods to creating stick art, spiders’ webs, natural mobiles and star wands. Adult Free, Child £4.50. Mini Easter Egg hunt around the library this holiday – find all the paper eggs and be in with the chance to win a prize! Come and help the cast search for our very special guest the Easter Bunny! Easter magic treats and lots of audience participation for two hours of family fun this Easter holiday!